Office etiquette: What is the etiquette surrounding free food at work? Office dilemma: "I've worked out one colleague is eating all the free Christmas treats." A woman has posted to UK site Mumsnet with a conundrum that is every snack-lover’s greatest fear imagined. You see, treats at work are great, but can we resist eating more than one if they’re right in front of us? No. We are merely human. But if you’re in a big enough office… no one will notice you’ve just gone back for your third Tim Tam, right? Well, if this woman’s post is anything to go by, maybe we aren’t as safe as we thought. Maybe… there’s someone actually keeping a tally of your treat intake. And with Christmas treats aplenty at this time of year, that’s… a terrifying thought. 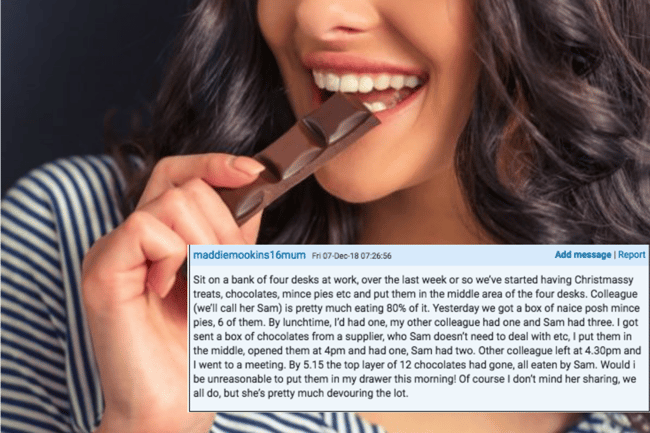 Posting to the mother’s forum to air her grievance, the woman explained that she had been providing Christmas treats for her colleagues, but one colleague, “Sam”, had been helping herself to more than her fair share, in the woman’s opinion. 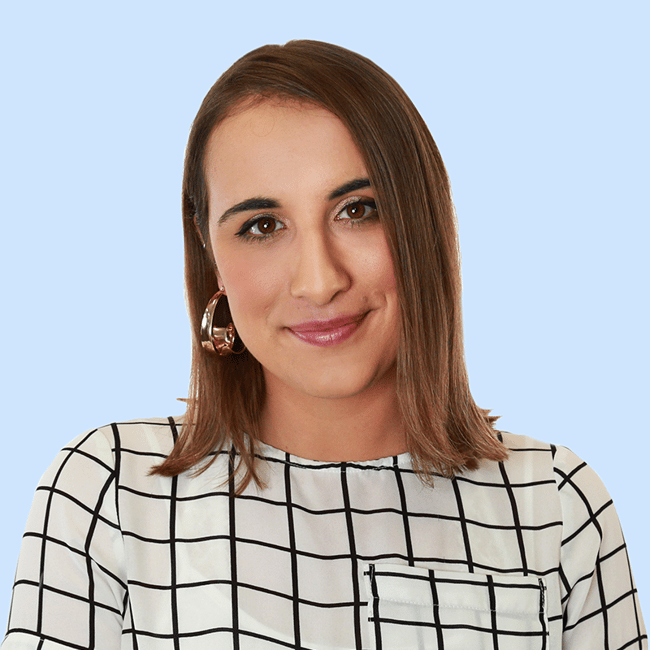 “Sit on a bank of four desks at work, over the last week or so we’ve started having Christmassy treats, chocolates, mince pies etc and put them in the middle area of the four desks,” she began. “I got sent a box of chocolates from a supplier, who Sam doesn’t need to deal with etc, I put them in the middle, opened them at 4pm and had one, Sam had two. Other colleague left at 4.30pm and I went to a meeting. After the chocolates had disappeared into Sam’s mouth (understandable), the woman was tossing up whether she should hide the treats from her. Ahem, it sounds a lot like you do mind sharing, ‘maddiemookins16mum’. The responses were varied, with many agreeing that she should hide them. “If she’s doing it when you’re away from the desk maybe it would be better to keep them in your drawer and just get them out at coffee time or when everyone is there,” one posted. “Offer and put them away. Bring out box when you have a cuppa. Maybe get some cheapo biscuits… £1 for 3 packs and leave them out, So if Sam wants to stuff her face it isn’t with the good stuff,” another said. Others suggested she should snack-shame her colleague. “I would probably say something when she goes to take a third mince pie, ‘Oh Sam, maybe we should save one for Babara as she’s only had one?&apos;” one suggested. “‘Stop eating all the pies Sam and leave some for the rest of us’,” another offered. Some people said Sam was simply greedy and rude, while others wondered whether Sam had a binge-eating disorder, in which case the original poster should hide the treats and only bring them out over coffee. “Maybe don’t leave them out if you’re going to be keeping a tally every time someone takes a chocolate,” one said. “If you need to do a tally of who eats what then don’t leave them out and stop buying them as you aren’t being kind,” added another. Do you think Sam is being greedy, or is the original poster too harsh? Let us know in the comments below.